The International Olympic Committee has made the right decision by leaving it to individual sports federations to decide whether particular Russian athletes will be eligible for Rio. Collective punishment was bad enough when applied to all Russian track and field athletes regardless of whether there was any evidence against some of the individuals swept up by such a ban. Extending the ban to all athletes in all Russian sporting codes would be an even wider breach of natural justice. Explaining that Mexico and Spain had been deemed non-compliant with the World Anti-Doping Agency for largely administrative reasons, Bach said that the situation in ¬Kenya and Russia was more serious and warranted greater controls. “In Kenya, there were administrative issues that are about to be resolved but on top of this we’ve had in the last couple of months a lack of funding and an absence of national testing,” he said. “So Kenya is considered to be a country where the non-compliance affects the doping controls. In Kenya, there has been documentary evidence of easy access to (and use) of EPO blood doping – allegedly among local athletes and also among the foreign athletes training in the country’s high altitude conditions. Does the Kenya situation – where officials seem to have turned a blind eye in the past to the robust local market in performance enhancing drugs – reach the level of a ‘state sponsored’ doping programme of the sort that’s been alleged to exist in Russia? When it comes to outcomes on the track, that’s a moot point. As the IOC’s Thomas Bach says: “They both lead to the same challenge, and we have to ensure there is a level playing field.” Earlier this year, Kenya finally passed an anti-doping law. Kenya had missed two deadlines set by the World Anti-Doping Agency (Wada) to show it was tackling cheating in sport. 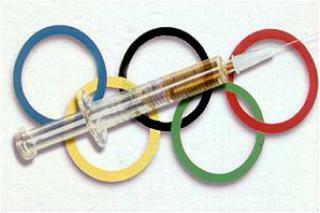 The new law creates a national agency, which allows those found guilty of doping to be imprisoned and fined. Whilst the passage of this law did not impress Wada, this on-paper assurance seems to have been enough to enable Kenya to escape being banned by the IOC from participation from Rio. Having allowed one country still under a drugs cloud to compete at Rio, the IOC could hardly turn around and impose a blanket ban on Russia. All the same, given the different treatment meted out to Russia’s track and field team compared to the treatment of the long distance track stars from Kenya, it is also easy to see why many Russians feel that this entire process has been politically driven. Supposedly it is the political purpose behind a public act of violence that qualifies it as ‘terrorism’. However, Islam seems to be the only politico-religious motivation that routinely qualifies as ‘terrorism’ with Western news outlets. So much so that the initial news bulletins on the weekend’s Munich shooting ‘couldn’t confirm’ that it was indeed, an act of terrorism – apparently because there didn’t seem to be any links between the shooter and Islamic State. We need to correct this tendency to equate ‘terrorism’ with ‘Islam’. Right wing terrorism? Fundamentalist Christian terrorism against immigrants or abortion clinics? Terrorism committed by unstable individuals tipped over the edge by their own inadequacies and by right wing political propaganda about immigrants? Such phenomena are just as real, and arguably almost as deadly, as the Islamic variety. To be fair, the media coverage of mental illness as a possible contributing factor in public acts of violence is not uniform. In the cases of the shooting of the British Labour MP Jo Cox, the Nice truck killings a few weeks ago and the Sydney café siege in 2014 (where the shooter had claimed allegiance to Islamic State) mental illness has been openly discussed as a credible part of the motivation for the deeds. In general though, as Juan Cole has pointed out, the self-declared agents of Islamic State usually don’t get the same extenuating sympathy vote on the score of their mental health. Jared Lee Loughner,the assassin of Federal judge John M. Roll and five others and attempted assassin of Rep. Gabrielle Gifford (D-AZ), was clearly mentally unstable. But the political themes of his instability were those of the American far right. Loughner was acting politically, even if he is not all there. He is said to have called out the names of his victims, such as Roll and Gifford, as he fired. As usual, when white people do these things, the mass media doesn’t call it terrorism. The media, and consequently public attention, is largely focused on violent Islamist extremists; while this may reflect the broader threat, it is at odds with that from lone-actor terrorism… These findings have clear implications for policy-makers and practitioners; right-wing extremists represent a substantial aspect of the lone-actor threat and must not be overlooked. However, analysis of the CLAT database suggests that intelligence machinery may currently be more finely attuned to detecting [Islamic] religiously inspired lone-actor terrorists by comparison to their right-wing counterparts. Excluding cases where a perpetrator was identified during (or immediately following) an incident, it was established that 40 per cent of right-wing extremists were uncovered by an element of chance, as part of an investigation into other offences or because the perpetrator accidentally detonated a device, drawing attention to his or her activities. Although chance was also evident in some examples of religiously inspired terrorism, overall 88 per cent of [those] interventions were intelligence-led, suggesting a clear disparity. Right-wingers are also found to be more likely to be socially isolated or suffer mental health problems than other lone wolf terrorists and more likely to “post telling indicators” on the internet. Maybe… the security services should be looking more closely at right wing groups and at the Internet, and doing a bit less poking around in mosques. For the secrets I have hid.. Evil is doing the unnecessary. Some people do the unnecessary all the time. The evil is not part of human beings it is a distortion. We believe we are what we are not and have forgotten who we are. Identified we are with things,concepts, gender, race, religion, income, personality. When these things we identify with are threatened we are willing to go to “war” for any old made up cause that the corporate “leaders” tell us is of greater value than life. Terrorism is done in the name of a “war on terrorism”. This war has increased terrorism, suffering and the number of refugees. The so called “war on terrorism” is evil. The “Sportsman”or “Athlete” drug testing (done only at one time by the same org ) is a joke. “So and so” is a steroid using coke snorting druggy, BUT only one time and place will thye need to take other drugs and “measures” in order to negate and test” negative”. As we learn’t with FIFA the corruption’s sports are corrupt. Celeb drug users will just get back a negative if the powerful sponsor so desires. (A couple of Russian athletes can be taken out though). The whole mob mind over-inflation of sports competition encouraged by sponsoring corporations almost seems to be a drugged response. The Olympics is still a religious festival. The bankers corrupt mega corporations “sponsor” the Olympics and get the debt slaves to fund it, I imagine the drug testing is just as dubious as those running it. The participating druggies( sorry “sportsmen”) are the not the most concerning part of the corporations ritual. If only the Olympics was not corporate sponsored and they just gave the winner a Crown made of olive branches. Perhaps security services should be looking more closely at both right wing groups AND Islamic extremists. @Steve Perhaps “security services” should be looking at themselves, which groups and people their own funders fund, look at their toxic group mind set “ideology” and how their “war on terrorism” by way of “terrorism” has increased ” terrorism” . The supporters of ISIS have just slaughtered a priest in a church. I can’t think of anything more barbaric than the cold blooded execution of an 85 year old man in his house of worship. Needless to say, I doubt we will see Catholics rioting outside Saudi embassies or mosques, nor will we expect any nations to accept responsibility for the crimes of distant extremists. And yet, when some Danish cartoonists, who also were not state actors, drew religiously insensitive pictures, that was the response from mainstream Islamic theocracies.